Fashion photography is used for the fashion world and for advertising, where models demonstrate fashionable look and other fashion industry products. We see photographs in glossy magazines, lookbooks, and catalogs with clothes and on websites. The key task of fashion photo art is to focus and show elements of clothes, accessories and other things attributed to fashion. In order to emphasize these details the specialized fashion presets Lightroom free will help you. Our ready-made fashion presets Lightroom will become your assistant for all photographers, retouchers, designers and bloggers who are worried about the quality of fashion photos. 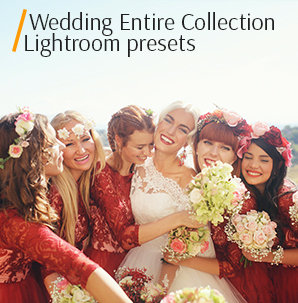 Our collection of free Lightroom fashion presets will give each photo an exclusive mood, focus on details, perform High End color correction and simply enhance the image that is necessary for glossy magazines and photo printing. LR Preset #3 "White Balance"
LR Preset #8 "Pink Glasses"
LR Preset #10 "Black & White"
Our free Lightroom presets download will transform the procedure of picture editing into a pleasure, significantly reducing the time and effort. 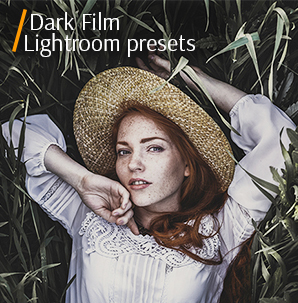 A selection of Lightroom presets for fashion photography is no different from manual photo post processing and perfectly displays all the nuances and distinctive features of fashion photography. To save time and efforts, fashion photographers, graphic designers and retouchers are provided with the following 10 separate special filters. 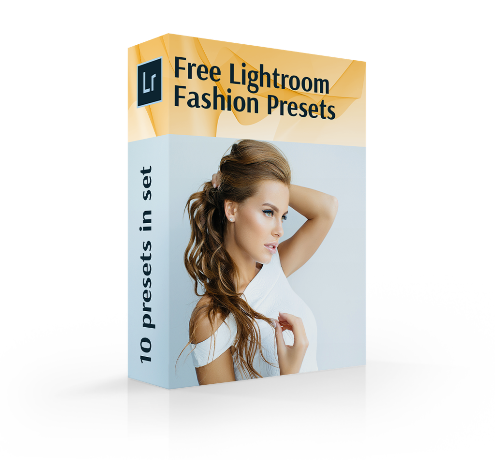 All those interested in free Lightroom fashion presets can download them quickly and open with any version of Adobe Lightroom. Photographers and retouchers know that the JPEG and RAW format is the most suitable image format for photo post processing in Lightroom. To use fashion Lightroom presets free computers, tablets and laptops based on Windows or Mac are the right option. If you want to change the settings in our Lightroom presets fashion free, it is easy to make. Fashion Lightroom Presets #1 "Contrast"
The application of this effect is suitable not only for photos with girls; it will also look great on any evening photography without sunlight. Fashion Lightroom preset colorfully suits any evening photo, adds a tinting effect and boosts the overall contrast of the photo, highlighting the main object. Lr Presets for Fashion Photography #2 "Vintage"
The effect of adding vintage and light antiquity is part of the presets hack, which empowers photos with softness, warmth and muted tones. Photographers can apply presets to portraits, subject photography or street photography, muffling the vibrant colors of the surrounding background. Lightroom Fashion Presets Free #3 "White Balance"
A pure white plugin for fashion images, leveling the white balance, brings the photo bright, juicy and inimitable, it enhances the color tone and contrast of the photo. This filter modifies the image in color and wedding photographers prefer to accentuate the niceties on the photos with the help of one of these filters. Fashion Presets Lightroom #4 "Glamour"
This yellowness effect gives the vintage an image with the help of this fashion Lightroom preset it's best to edit the portraits. The photo is filled with sunlight, and the skin tone is leveled. Fashion Photography Lr Presets #5 "Matte"
Such a matte toning filter adds a certain atmosphere to the image, with the help of which new horizons of perception of the photo are opened and the effect of matte photos is created. Free Lightroom Fashion Presets #6 "Film"
Prepare for film essentials download, as the fashion film effect is created by adding noise to the photo and by changing the color gamut, which in turn has a significant effect on the overall look of the photo. The effect of a photo taken on an old film is the favorite trick of all fashion photographers. Fashion Lightroom Presets Free #7 "Chocolate"
The photo is saturated with brown hues that gently reflect its essence and even the skin color of the models. Gentle fashion Lightroom preset tones images in a fabulous way, creating a warm atmosphere in the frame. Fashion Presets Lightroom Free #8 "Pink Glasses"
None of the fashion editorial presets can so perfectly retouch the skin tone and the whole photo, adding simultaneously bright and soft colors. The use of this effect can suits any photos in the style of fashion. Lightroom Presets Fashion #9 "Vibrance"
This fashion Lightroom preset is suitable for any type of fashion photo, when you need to perform a photo post processing and color correction, in order to preserve the original color gamut and contrast, only they are better presented to the viewer. Fashion Presets for Lightroom #10 "Black & White"
The black and white effect is one of the top Lightroom presets, which fits all the photos. No one can imagine how a combination of white and black can add charm, depth and contrast to pictures. Fashion photographs as in the center spread of glossy magazines. The pictures most often depict professional models in designer clothes. In such photos, free Lightroom fashion presets will focus the viewer's attention on fashionable details and design accents, in addition to the options of plugins, they adjust the skin tone of the models, which is an integral part of the high end retouching. Street-style is a photo of fashionably dressed people on the street. Our filters are ideal for such photos, as they will edit the lighting, brightness and contrast. Free Lightroom brushes will help add brightness and street drive to photos by adjusting curve settings and light balance. Depending on the desired result, photo editor can adjust the parameters of Lightroom presets for fashion photography at his/her wish. Photographs from the modelling appearances help to review the collections and analyze the current trends of the season, so these photos should look perfect. This is exactly what you will achieve by performing fashion actions together with high fashion Lightroom presets free, because they are professionally designed for batch photo enhancement and for filling images with exceptionally bright and distinct colors, where the pattern of designer clothes, perfect skin and makeup of models are clearly visible. Our specialists creatively came to the work, which they love very much. 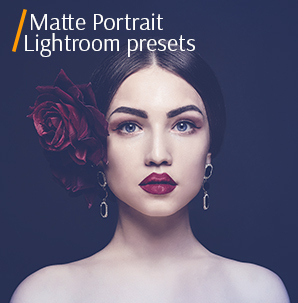 They provide photographers, retouchers, web designers, and all who work in the fashion industry, a set of the best Lightroom presets for fashion, which can safely be called the top of perfectionism. Feel free to download them without extra charges, all you need is a valid email address.